The Catawba Farm and Food Coalition (CFFC) is a 501(c)3 non-profit organization working to create a lasting, sustainable food-system in Chester, Fairfield, Lancaster, Union, York Counties and the Catawba Indian Nation. The Catawba Farm and Food Coalition facilitates and supports the development of a secure and sustainable food system in Chester, Fairfield, Lancaster, Union, York Counties and the Catawba Indian Nation. We envision a secure and sustainable food system as one in which our farms are economically viable, our agricultural lands are supporting a much larger percentage of the Catawba Region’s food needs, and all members of our region have access to fresh local foods. We believe that a strong local food system contributes to the health of our entire region and we work to facilitate greater understanding of the social, economic, and environmental impacts of our food choices. 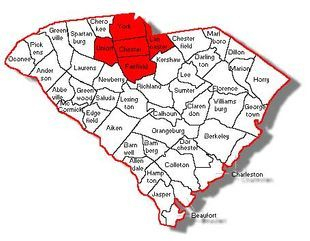 The Catawba Farm and Food Coalition is the Community Food Council for Chester, Fairfield, Lancaster, Union and York Counties in South Carolina. The Coalition exists to support and strengthen both our local food economy and the health of our citizens.